Traveling with a dog comes with it’s challenges. These challenges, I believe, never outweigh the benefits however. But it does change our course sometimes. We at Paws for Beer like to share dog friendly spots when ever we can. 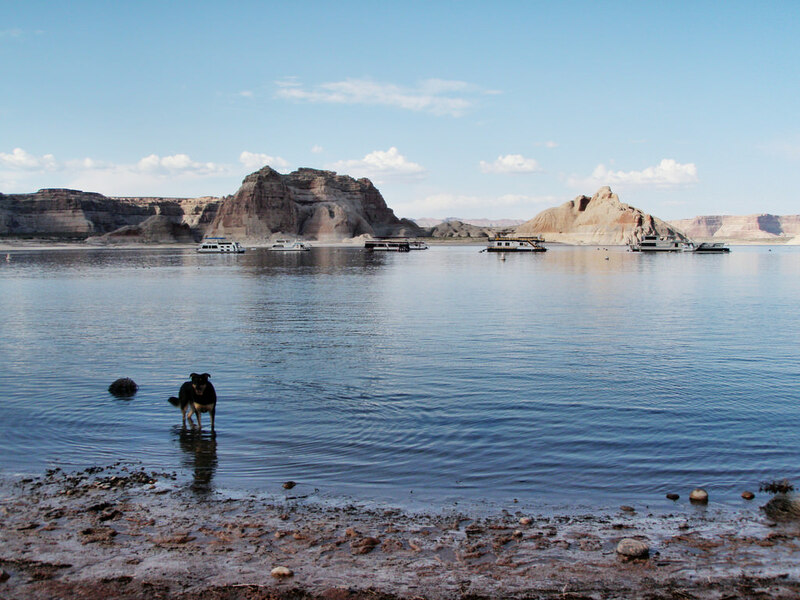 So here are our recommendations for dog friendly spots in Page Arizona. After spending a short time in Page Arizona it was clear to Boomer that he needed to go for a swim. It was hot and Boomer is always looking for a reason to go swimming. 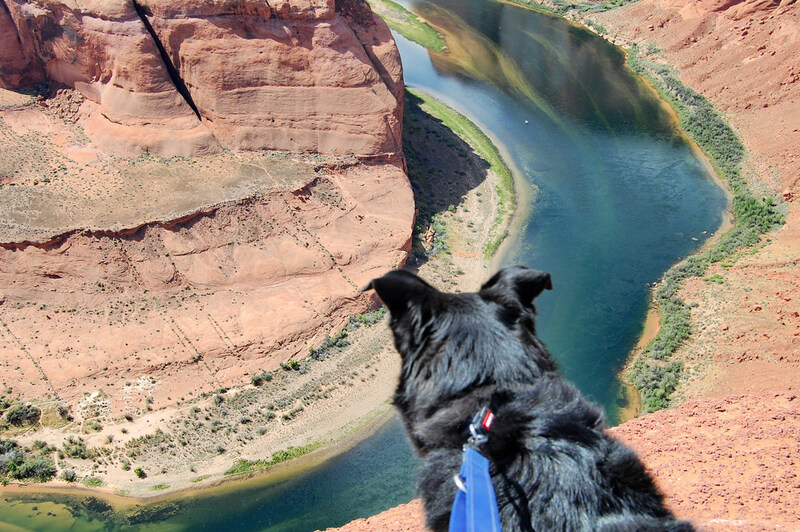 Luckily Page Arizona is located near Glen Canyon National Recreation Area and I had found some dog friendly locations to take Boomer. 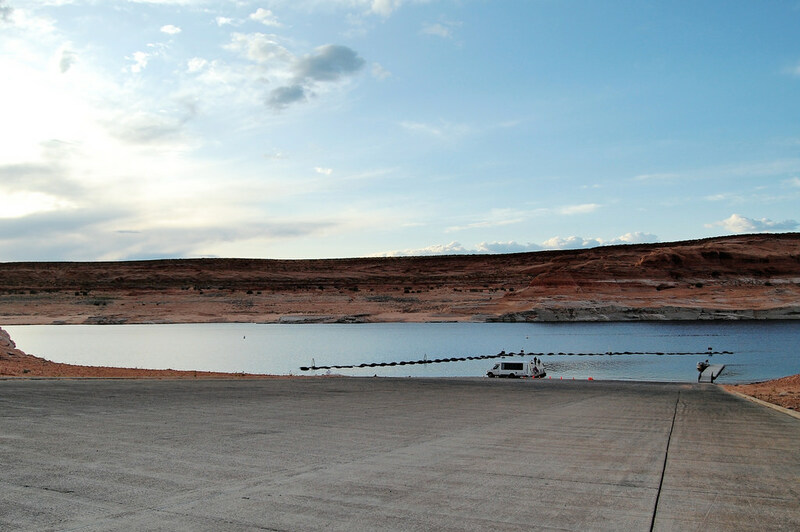 Located inside Glen Canyon National Recreation Area is Wahweap Marina. The fee to enter the park is $20 USD (as of September 2015) if you drive in or boat in. It was April and before the high season. I imagine during high season that the marina would be packed full of house boats. Being that it was off season it was lightly sprinkled with boats. We enjoyed the solitude to ourselves. Boomer got in some well deserved swimming time as well as covering himself in mud. One thing I have learned while traveling with a dog who loves to swim is to always carry a spare towel and waterproof seat covers. Located east of town is Antelope Point Marina. There is access to the water but this is most definitely a boat launch spot. There is a small parking lot for cars not pulling houseboats, which is where we parked. Boomer and I then walked down the impressively large boat launch down to the water. It was both long and wide, which I am sure helps aid the people putting their houseboats into Lake Powell. Have you ever noticed it’s really hard to take a photo of a dam and get the entire spillway in the photo… unless you’re an ace at photography and you have a wide angle lens on hand. But let’s be honest most of the people toting around DSLR’s don’t know the first thing about what they are doing with them, little alone which lens they are suppose to use. Not that I am calling anyone out specifically! 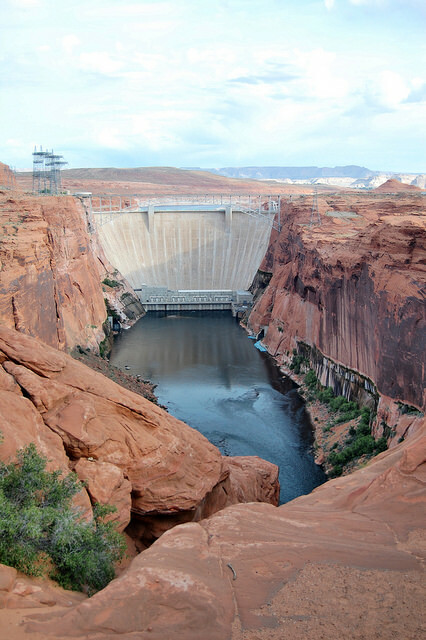 If you want a nice shot of the Glen Canyon Dam you can get one at the Glen Canyon Overlook. Leashed dogs are welcomed here as well. Boomer and I took an early morning jaunt down the stairs and found a nice view of the dam as well as views of the Colorado River. 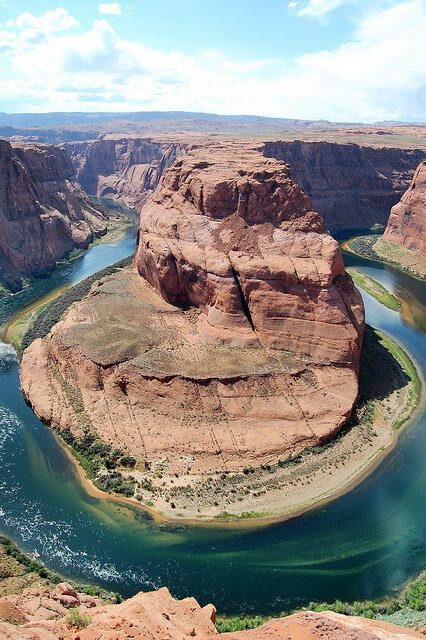 If you are anywhere near Page Arizona Horseshoe Bend is a must stop. You have probably seen it photographed a bajillion times but nonetheless it is worth a stop to take your own photograph and admire it’s beauty. The best part is that it is dog friendly. There is a short trail down to the canyon edge where you overlook the famous bend in the Colorado River. There are several websites advising you on the best time of day, what lens to use and how to get the best photo. I of course read the blogs and then proceeded to not follow their instructions, hence why my photos could be better.